In this series we rapidly migrate from Exchange 2010 to 2013. In parts one and two we decided on server specifications and then configured the base operating system, installed Exchange 2013 and then began configuration. The first two lines of the script are used to specify the name of the Exchange 2013 server, in the $Server variable, and the HTTPS name used across all services in the $HTTPS_FQDN variable. Get-OWAVirtualDirectory -Server $Server | Set-OWAVirtualDirectory -InternalURL https://$($HTTPS_FQDN)/owa -ExternalURL "https://$($HTTPS_FQDN)/owa"
Get-ActiveSyncVirtualDirectory -Server $Server | Set-ActiveSyncVirtualDirectory -InternalURL https://$($HTTPS_FQDN)/Microsoft-Server-ActiveSync -ExternalURL "https://$($HTTPS_FQDN)/Microsoft-Server-ActiveSync"
As Outlook Anywhere is the protocol Outlook clients will use by default to communicate with Exchange Server 2013, replacing MAPI/RPC within the LAN, it's important that these settings are correct - even if you are not publishing Outlook Anywhere externally. 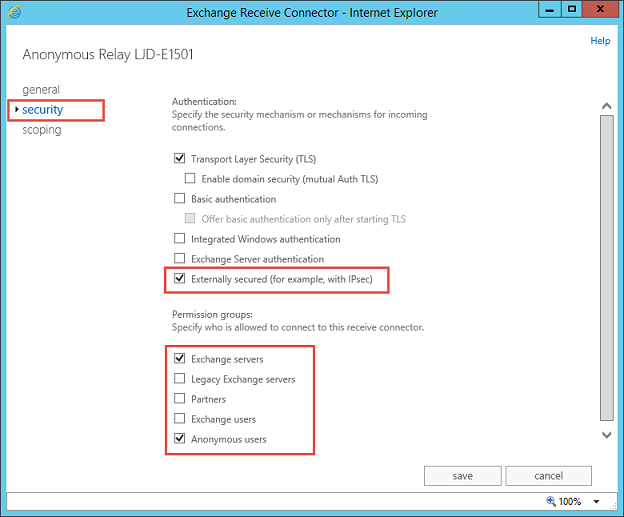 During co-existence it's also important to ensure that the default Authentication Method, Negotiate, is updated to NTLM to ensure client compatibility when Exchange 2013 proxies Outlook Anywhere connections to the Exchange 2010 server. With these settings configured, along with the obligatory iisreset /noforce to ensure configured is re-loaded into IIS we could in theory move client access across from Exchange 2010 to Exchange 2013. Before we do that we will first make some additional configuration changes. 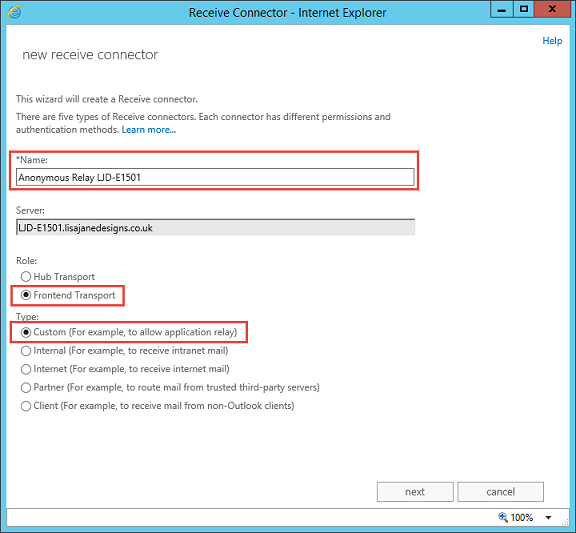 We’ll need to ensure that the same settings are applied to Receive Connectors on Exchange 2013 as per our Exchange 2010 staging server. Default and Client connectors are already created and do not typically need to be altered. The defaults for Exchange Server 2013 allow email from the internet or spam filter to be delivered without adding an additional permission. Many organizations do allow users to relay mail through Exchange from application servers, so we will use this as an example to illustrate how the process is slightly different when compared to Exchange 2010. On the final page of the wizard, we'll choose which IP addresses that the receive connector will accept mail for. We will move the initial database created by Exchange Server 2013 setup and make it our first Mailbox Database. To perform this action we will perform a two-step process using the Exchange Management Shell. In the example above you'll see that by executing the Get-MailboxDatabase cmdlet before making the change we see its default name – “Mailbox Database” with a random suffix. After making the change, the name is changed to something more appropriate. 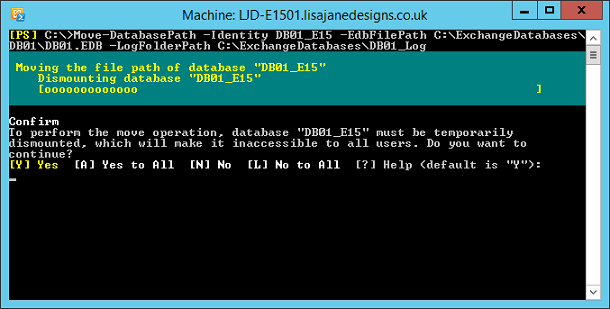 When moving the database it will be dismounted. 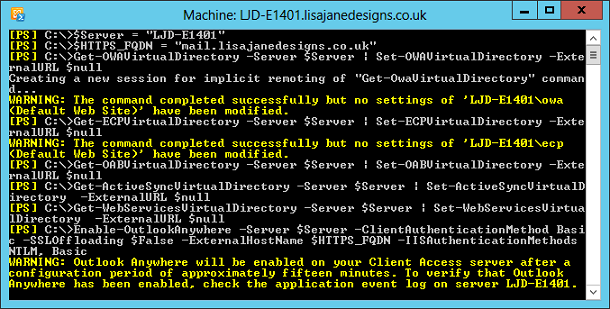 The files will then be moved to the new location and the database and log locations updated in Active Directory. Finally the database will be re-mounted. Next, create additional Mailbox Databases to match our design specifications. 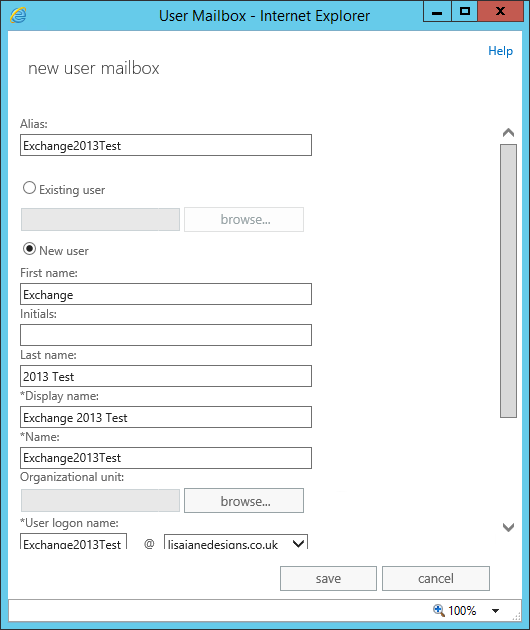 We can create the mailbox databases using either the Exchange Admin Center or the Exchange Management Shell. In this example we will use the Exchange Management Shell, which for a larger number of databases will be faster and more accurate. 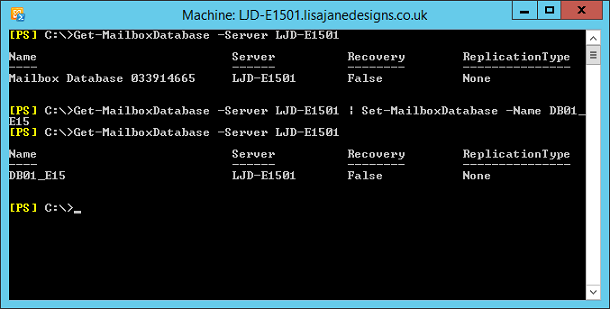 The cmdlets used are New-MailboxDatabase, Restart-Service, Get-MailboxDatabase and Mount-Database. After we have moved our first Mailbox Database and created our additional mailbox databases, we will now need to configure each database with the correct limits. Get-MailboxDatabase -Server <Server> | Set-MailboxDatabase -IssueWarningQuota 9.8GB -ProhibitSendQuota 9.9GB -ProhibitSendReceiveQuota 10GB -OfflineAddressBook "Default Offline Address Book (Ex2013)" -DeletedItemRetention "14:00:00" -MailboxRetention "30:00:00"
Before we can move namespaces and mailboxes across to Exchange Server 2013 we need to test that the new server is fully functional. After creating our test mailbox we’ll now need to test that they are functional from a client perspective. Navigate to OWA via the server’s name. 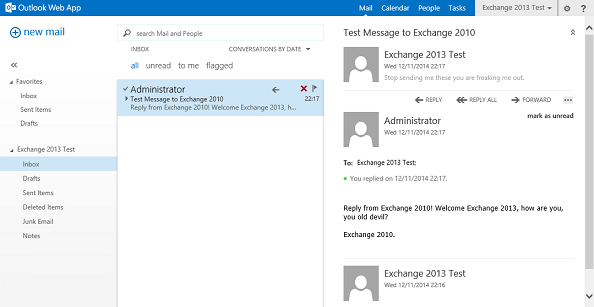 As a minimum test mail flow works correctly between our new Exchange 2013 test user and existing Exchange 2010 users. 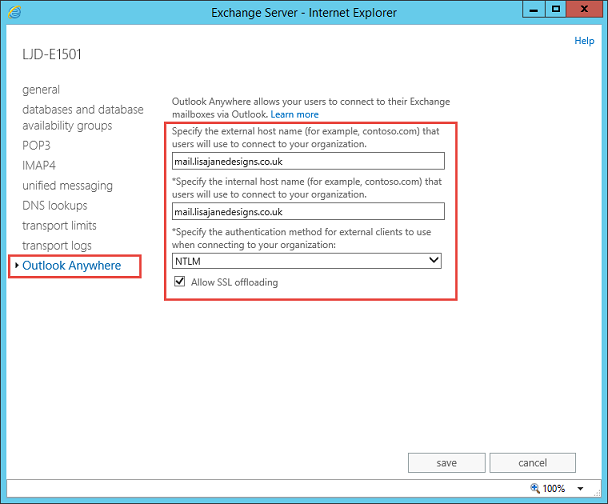 Exchange 2013 supports acting as a proxy for Exchange 2010 services. This means that it is easy to allow Exchange 2010 and Exchange 2013 to co-exist using the same URLs. We decided earlier in this guide that we would use the same names for both Exchange 2013 and 2010. It is now time to move the autodiscover.lisajanedesigns.co.uk and mail.lisajanedesigns.co.uk names across from Exchange 2010 to Exchange 2013. This, along with the respective DNS / firewall changes, will result in HTTPS client traffic for Exchange 2010 going via the Exchange 2013 server. We will update our core URLs for Exchange 2010 to remove the ExternalURL value. 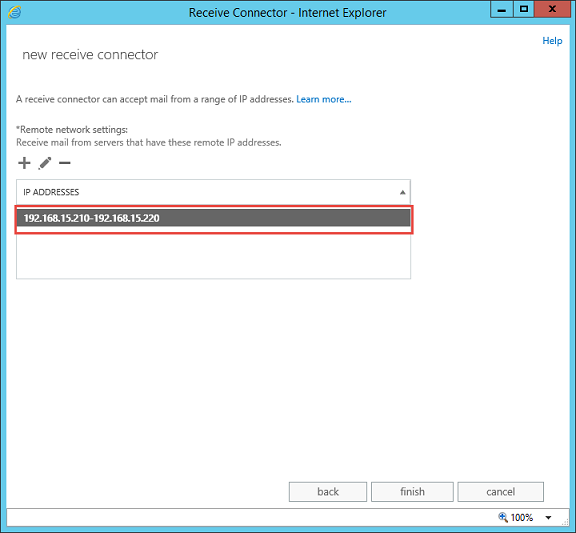 We'll also enable Outlook Anywhere, configuring it with the HTTPS name that will move to Exchange 2013. 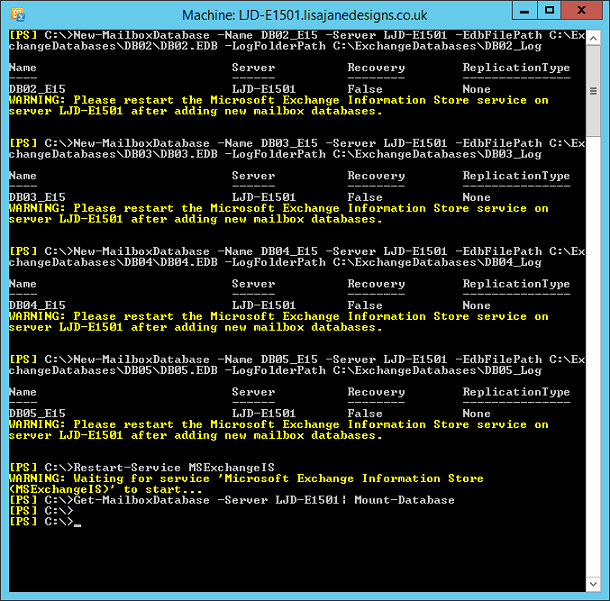 To do this we will login to the Exchange 2010 server and launch the Exchange Management Shell. Enter the following PowerShell commands, substituting the $Server and $HTTPS_FQDN variables for appropriate values. From a client perspective this should not have any immediate effect. The Exchange 2013 server will provide External URL values via Autodiscover, but in the meantime client traffic will still be directed at the Exchange 2010 staging server. 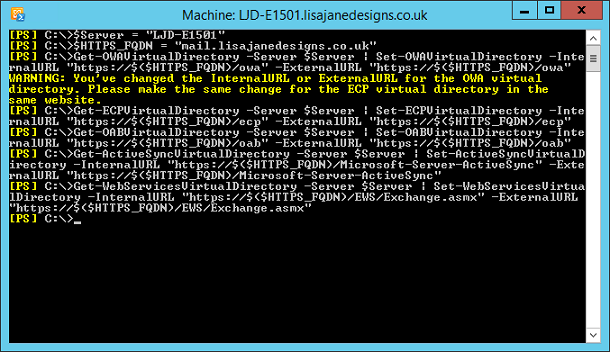 To direct traffic internally at the Exchange 2013 server we need to change internal DNS records so that both the Autodiscover name and HTTPS namespace (in our case, mail.lisajanedesigns.co.uk) are configured with the IP address of the new Exchange 2013 server. Clients will not be immediately redirected to use the Exchange 2013 server as the proxy for client access, and instead will do so once their cached records expire. As soon as clients can access the server retry login and client access to ensure no issues exist. If internal access works without issue, update the external HTTPS publishing - which in our example organization is a NAT rule configured via the router. In this article we’ve moved from configuring the server to co-existence. 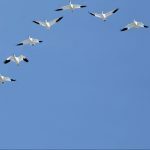 In the final part of this series we’ll complete preparation for migration, migrate mailboxes and decommission Exchange Server 2010. Hi Steve, very good article indeed . I followed this article , strayed a bit , and configured one or two items that needed configuring before actually reaching the stage in the article . 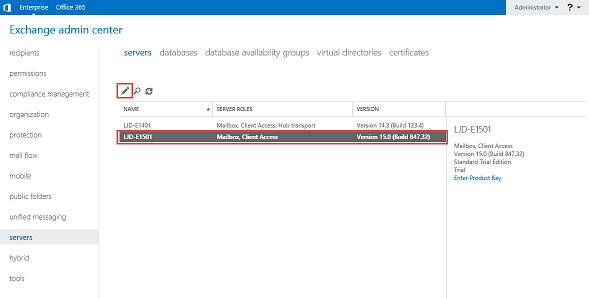 I am about to switch DNS entries , firewall rules etc.....in preparation for exchange 2013 , but for the stage where you write a null value to the exchange 2010 virtual directories ....... can i not rather stop IIS on the exchange 2010 server - in case i have to revert back if activesync, owa etc does'nt work?